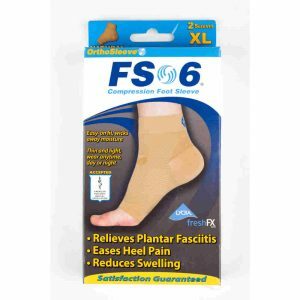 Quality range of socks and compression sleeves for the ease and treatment of heel pain, arch pain, poor circulation, varicose veins and diabetes. 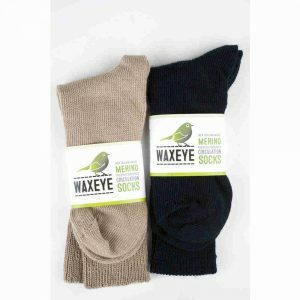 Our Waxeye Circulation Socks have a unique longitudinal weave pattern that means no more horizontal lines in your legs, and your feet will be toasty warm to boot! 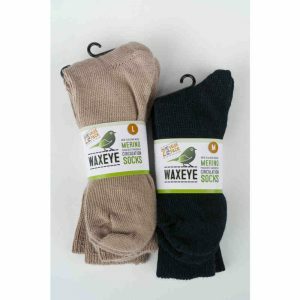 Ideal for diabetics and varicose vein sufferers, Waxeye Circulation Socks are a high quality, hard-wearing New Zealand made sock. Masterton Foot Clinic © 2017. All Rights Reserved.